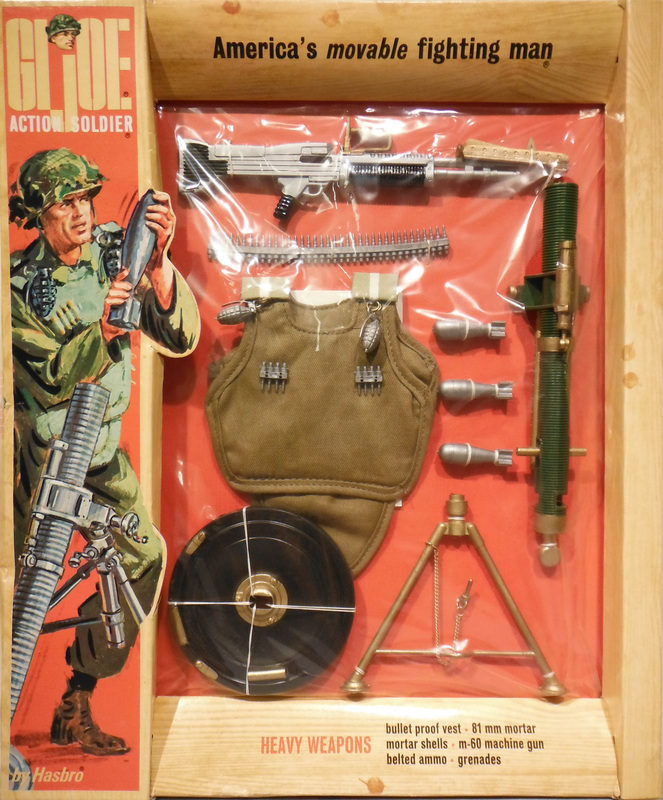 Heavy Weapons (7538) was released first in a 1967 window box and in a 1968 photo box, both of which are rare and prized by collectors. 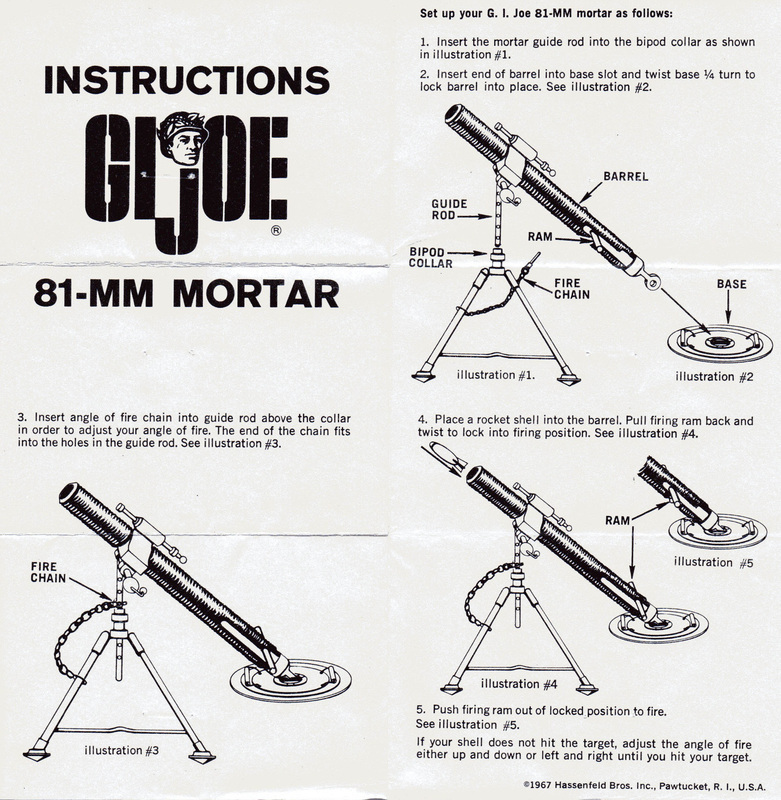 The vest is unique to the set, while the mortar and M-60 showed up on Marine cards. The M-60 appeared again in the 1968 Combat Photo Box. This super rare 1967 window box above shared courtesy a fellow collector and great Joe, Wenty35. Below, the 1968 photo box. The 1967 and 1968 releases are the high point of Joe's military era, both in quality and collectibility. The window boxes of '67 and the hard top photo boxes of '68 were only produced for one year each, so these are highly collectible and tend to bring high prices. Since most window boxes were ruined as kids ripped them apart to get at the goodies, they have survived in lower quantities than even the rare photo boxes. The lids of the photo boxes are sized to fit perfectly over window boxes, so there are situations where both can be found together. This was done to use up already packaged widow box stock.